As I write this entry, Pappa is on the balcony pillar sounding his mating hoots. It's just before 6pm and the sun is just going down now. 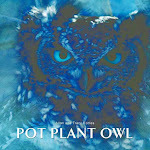 In the distance, I hear Pot Plant Owl's return hoots, letting Pappa know she's on her way. We're preparing for their imminent return. The 'hide' items are out (the stuff we put on the glass sliding door for owl / human privacy). Africam is ready to go with a fancy webcam that should provide greater viewing and hopefully better angles. We're also in the process of revamping the PPO website, so watch this space. This wonderful news. I can hardly wait to see them again, and visit with everyone.Thank you Tracey and Allen, and Africam, and of course, PPO and Pappa. Great news, I can't wait anymore. Thank you for the opportunity to watch ths wonderful birds. All the best for the owl couple. Oh happy day! Can't wait to see those two lovelies! I'd like to add my voice to those who are welcoming this happy news. I'll be checking back regularly. Great news! Thanks for keeping us posted! I can't wait to see PPO and Papa again...and any little ones that happen to come along! ;) Thanks for keeping us posted on such exciting happenings! We do have one question. Did Allan keep Teeny's sandal, or will he need to 'donate' a new one? Great news!! I'll definitely be watching for more news. Thanks so much for keeping us up to date. Oh wow! I have missed these owls so much as I have missed all of you here. Thanks so much Tracey and Allen for all you do. Love the new website! Especially being able to hear the owls vocalize! Warms my heart! I can't wait!! And I was so thrilled that the land beyond will be preserved for out wonderful nature!! I need to be on a mail list so I can keep track!!! Well that was easy. Now I will have all the follow-ups I need!!! Yea! Great news! I am looking forward to seeing my dear friends again! I like Wolphie's comment, ya- how about that sandal? The Hideout has been promoting and reminding our owl viewers that you are returning ! Like everyone else here, I am very excited to know we may soon be seeing PPO and Papa raising another family. I have missed them very much and have also missed the wonderful people here who share their love of owls. The comeradery is wonderful and I have learned so much! To Tracy and Allan; I hope life has treated you well since we last chatted and look forward to hearing from you both again real soon.